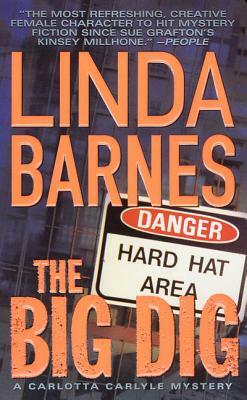 Carlotta Carlyle, the six-foot-tall redheaded private investigator, thought that working undercover searching out fraud on Boston's Big Dig would be a challenging assignment. After all, the Big Dig, the creation of a central artery tunnel running beneath crowded downtown Boston is an engineering marvel, the largest urban construction project in modern history, a fourteen-billion- dollar boondoggle in the eyes of protesters. Playing a mild-mannered secretary working out of a construction trailer is not quite the thrill ride she had in mind.